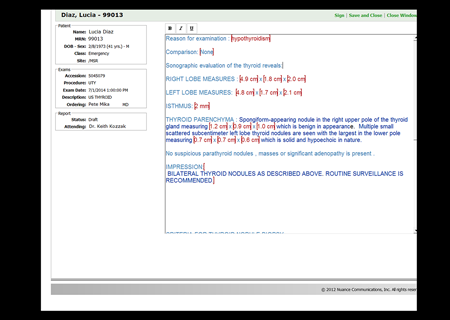 Most radiologists appreciate tools that increase efficiency and simplify exam review. 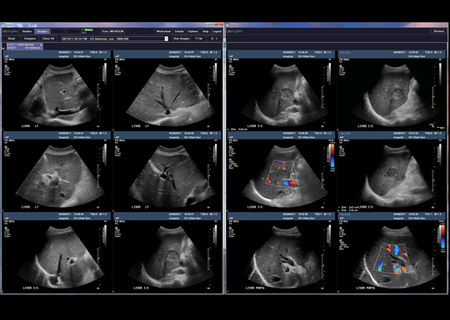 With the Imorgon System, radiologists can review more information in less time and complete reports with greater accuracy, assurance and ease. Reading is streamlined because physicians see the exam images and clips in context, as a whole study, with clips and static images in interleaved acquisition order, just as the sonographer intended. Because physicians don’t have to mentally reconstruct the exam or make potentially erroneous assumptions, a more logical and precise ultrasound exam review results. 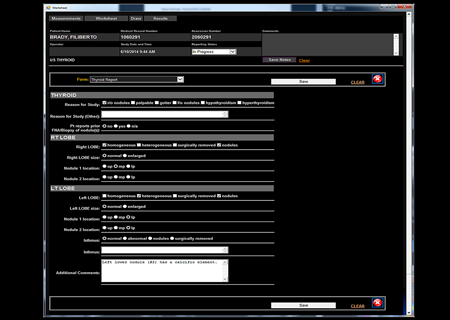 Another way the Imorgon System benefits radiologists is through its ease of use. 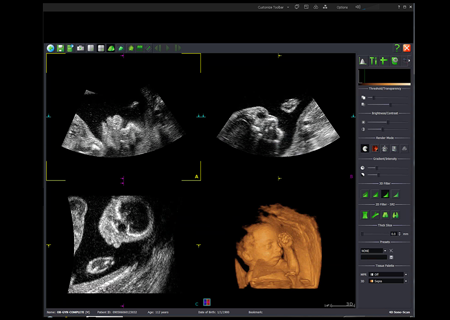 Physicians can quickly access data that was automatically transferred from the ultrasound system, easily review or edit the sonographer comment form and edit or create drawings—all electronically. Advanced diagnostic capabilities such as 3D/4D imaging, contrast viewing and an array of measurement tools, further heighten diagnostic insight. The most common ultrasound exam result is “normal.” Yet, even given an abundance of still images, this conclusion is often the most difficult to confirm. 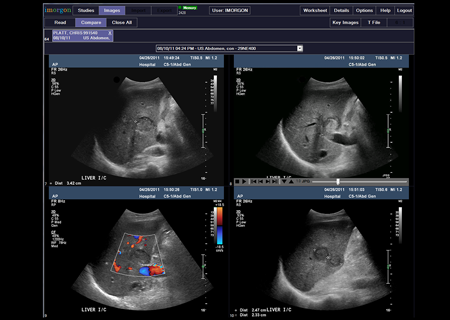 However, one 3-to-5-second ultrasound clip, together with a few static, images, fully captures a normal study and helps confirm a “normal” result. 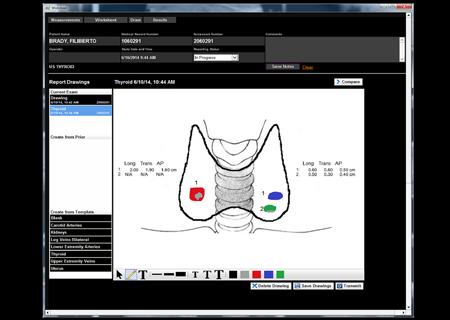 The secret lies in dynamic clips and how the Imorgon System enables radiologists to view and control them, which the system plays back at true frame rates and runtimes. 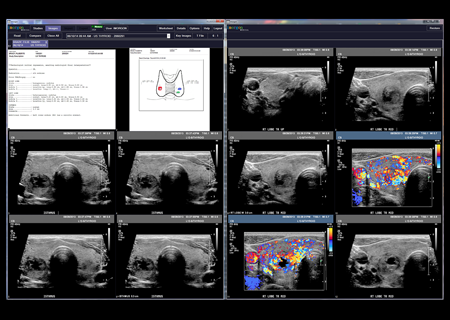 The bottom line for time-pressed radiologists is that the Imorgon System’s complete clip integration and control results in quicker, clearer, more intuitive diagnostic insights.